The Suffolk Craft Society Makers and Friends strongly support the concept that education in the arts is vitally important to all and is therefore developing an ongoing educational programme in the county. Appreciation of the arts, particularly in young people, opens the door to an expanding intellectual horizon. For many this is not just life-enhancing, but can be a life-changing experience. The Society with its wealth of quality makers is ideally placed to facilitate education of the highest order. As a membership-run organisation our commitment to education is shown by our support of an education officer and we urge partners and other organisations to make contact so together we can ensure a strong future for craft and innovative artistic making. 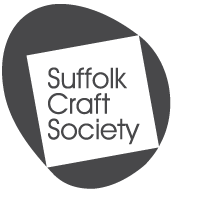 the Friends of Suffolk Craft Society and the membership.